“Solar Eclipse” is that the Sun is hidden partially or totally by the Moon because the Moon crosses in front of the Sun. On May 21, 2012, the partial solar eclipse would be happened in Japan. And the “Annular Solar Eclipse” can be observed widely in the areas that south of Kyushu, south of Shikoku, south of Kinki, Chubu, and Kanto. During the annular solar eclipse, the corona and prominence would not be observed and also the stars cannot be seen because the sky is not dark enough as like the sky during total solar eclipse. However, it is possible to observe the ring shape of the Sun, looks like donut, and the sky becomes dim. 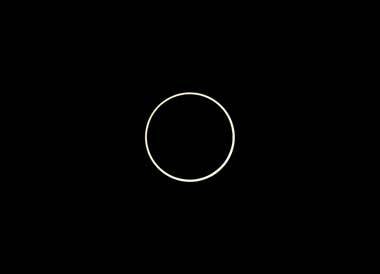 In Japan, it is the first time to be able to observe the annular solar eclipse since it was observed in Okinawa area on September 23, 1987. Also, it is said as very rare event because the next annular solar eclipse will be happened after 18 years, in Hokkaido on June 1, 2030.